Hello from the intern’s desk at Grace Thomas Designs, everyone! My first few weeks here with Grace Thomas Designs have been a whirlwind of different experiences. Today I want to describe to you a day in the life of an intern here, so get ready for a story about the incredible adventures that I had on only my second day. I was lucky enough to go on an exciting field trip with Michelle into DC, and I had absolutely no idea what to expect. 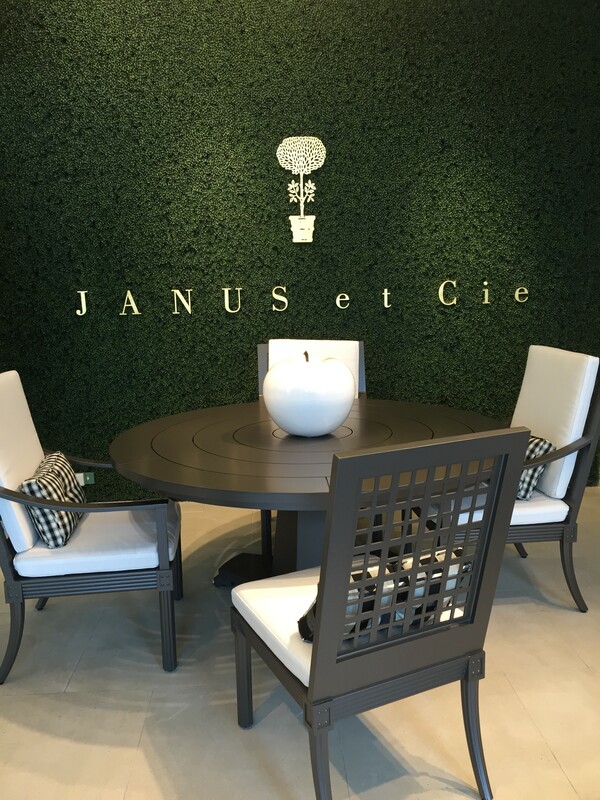 First, we paid a visit to the Janus et Cie showroom in Georgetown. They’re a company that provides an amazing selection of outdoor furniture, textiles, and accessories. Walking in, we were greeted by extremely friendly representatives, whom I soon learned were as knowledgeable about design and the lines at Janus as they were welcoming. I got to take some time to wander around, and I was struck by how clean and beautiful their showroom was. You could really appreciate each item they had on display for its attractiveness as well as its quality. Michelle and I ended up sitting with her trusted representative there and I got to watch while they worked over a big design board to try to find the best fabrics for a client’s poolside seating areas. While I knew working with the client was an important aspect of design, I never imagined that you would work so closely with so many other people. Every company has representatives ready to help you, and every detail like flooring or wallpaper needs someone knowledgeable to install it so it looks perfect. Michelle has really shown me the importance of having a trusted network so that the clients get the best possible design, and that’s probably one of the biggest lessons I’ve learned so far. There’s a lot of details to get right to create her fabulous and functional designs! After that client’s backyard was finalized (and a quick lunch break), we made our way to the DC Design Center. Honestly, the best way I could possibly describe the DC Design Center is jaw dropping. I thought Janus had a big selection, but boy I had another thing coming! The Design Center is an entire building filled with vendors for furniture, fabrics, rugs, and everything else. You could probably spend a year there and still not be able to take in everything. While Michelle worked with a representative at American Eye to find fabrics for another client, I was let loose to explore. I honestly feel like there are probably more fabrics in this world than there are stars in the sky! 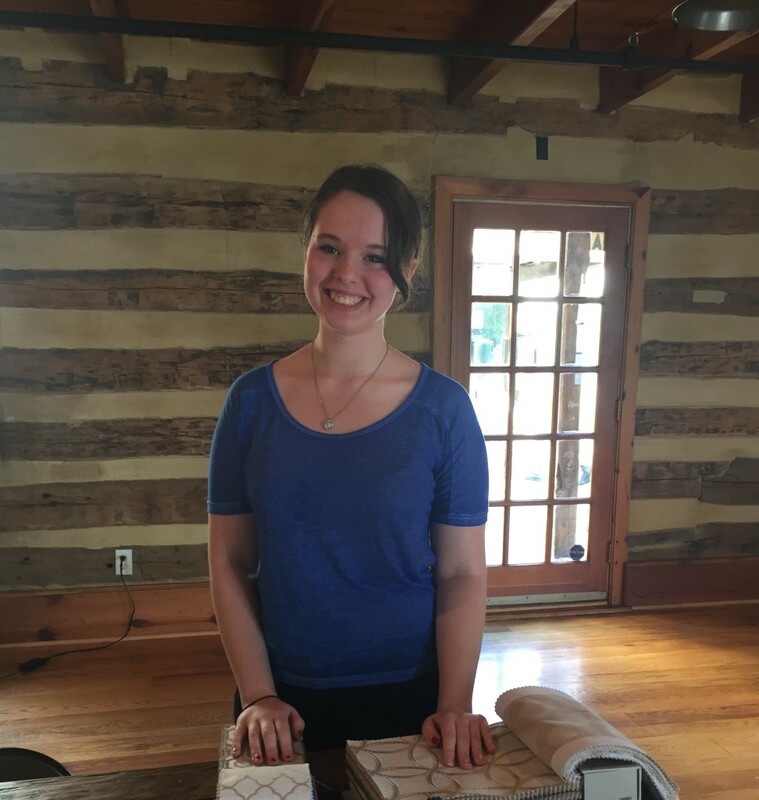 Then, we talked with the nice and very knowledgeable people at Stark Rugs, and looked at the awesome products in their showroom. On our way out, I came to the realization that while I was looking around slack jawed, Michelle knew exactly where to go for what she wanted. I have been amazed that there are so many choices for everything you could need for a good design, not only in the Design Center, but through catalogs and showrooms and online. I’m learning some of the nuances between different vendors, and the importance of company reps in the process, but I also know that that kind of confidence in finding the best for a client is something that comes with time and experience. With all I’m already learning here with Michelle and Tom at Grace Thomas Designs, I’m sure I’ll have gained even more of that sureness and knowledge by the end of this great summer opportunity than I already have so far. Hope you all enjoy your summer as much as me!